I had such a good time backpacking solo in June, I somehow talked my husband into going on a backpacking trip in September. What would be better then bonding together in a survival like situation?! Trekking through the wilderness with no equipment except that you can fit in a backpack. This trip took a bit of planning as we wanted to backpack in the mountains in Colorado. Plus we were going the last week of September and would likely experience some colder temperatures and potentially snow. The equipment for this trip would be different from my solo trip in June as the weather would require more clothing and the sleeping arrangement would be a regular tent as opposed to the hammock. With two people this time the equipment could be packed and carried with two backpacks instead of just me in one backpack. I first identified the essential equipment: backpack with hydration bladder for him, light weight tent, sleeping pads, cold weather feather sleeping bags, compression sacks, rain jackets, headlamp for him. The rest of the items I had already from my previous backpacking trip: mini stove, propane, cookware. While choosing sleeping backs I gave consideration to the expected nightly temperatures. In the moments in September there is potential for rain and snow. I choose 15 degree sleeping backs that had feather insulation as opposed to synthetic fibers. Feather insulated sleeping bags are lighter weight and compress better then synthetic insulated bags. The only con is that feather bags are costly then synthetic sleeping bags. Salomon Ellipse GTX due to its arch support and tread. Another really good shoe that is also good for hiking mountains is the Merrell Chameleon Shift Traveler Waterproof Hiking Shoe. I’m getting excited for my trip and started researching what gear I’ll need in my backpack which will essentially be some of the same things in a bug out bag. Along with a planned out route, I’m going to need sleeping gear, food and cooking items, water filtration, clothing and weapons. I also plan to carry a light weight video camera to document my experience. My first step was to start looking up these items on the internet. There is so much out there, but not a lot of reviews from actual backpackers. I decided to do a little retail shopping in person. I went to Bass Pro and looked at hammocks, backpacks, cookware and stoves, water filtration and sleeping bags. The hammock idea came from my friend who is an experienced backpacker. A hammock may be the way to go because it keeps you off the ground which is more comfortable and you’re a lot less likely to get crawled over by bugs or mice. The hammocks also seemed to be a lot less expensive then a tent and lighter weight! I am pretty much sold on the hammock idea. I will still need a sleeping pad to keep the heat from escaping out the bottom and a tarp to hang over the hammock to protect myself from wind and rain. The cons I see with the hammock is that I may feel less physically protected and vulnerable. Plus I won’t be able to change clothes in the hammock, so I’ll have to change standing inside the tarp or out in the open. After reviewing the backpacking packs, it seems most have standard parts to make your trip comfortable. The packs that were clearly for backpackers had a waist belt with zippered compartments, chest belt, a sleeping bag compartment on the bottom of the pack, zipper compartment on the top of the pack, and pocket for a hydration bag. I know I want to go with a medium sized bag as this was advised by a few of the AT websites I looked over. I wish I could go for small and ultra light, but I am a solo person so I won’t have the option of sharing the load with partner. 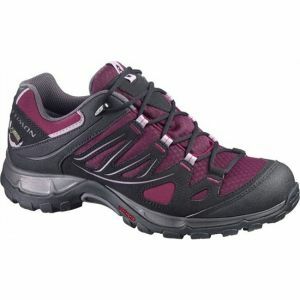 The one I liked the most was the North Face women’s Terra 40 that came in a blue or light purple color and was $149. 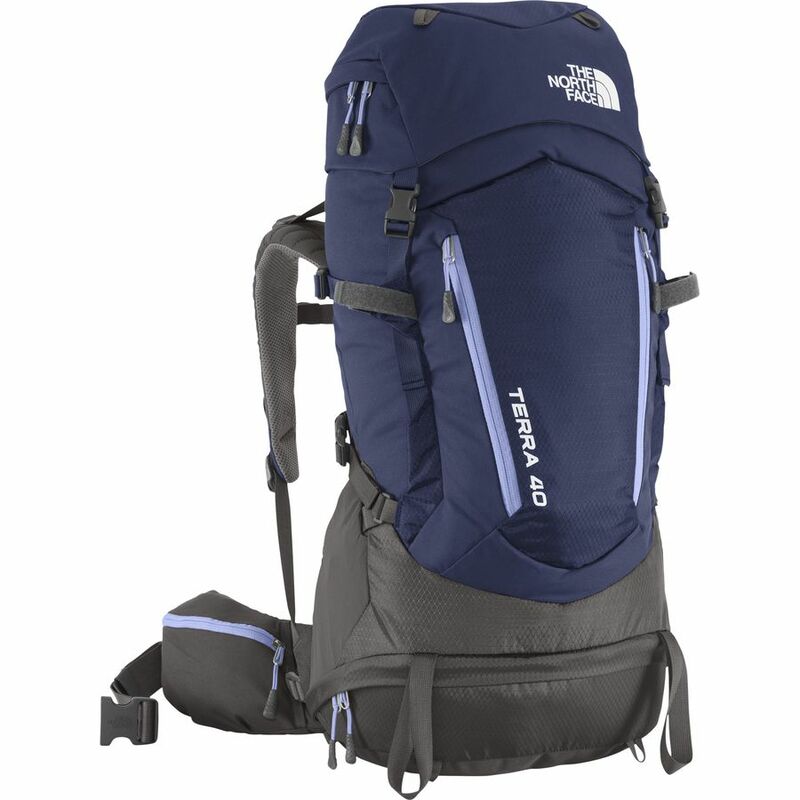 The men’s version of this back pack is the Terra 50. Most of the medium bags were in the $100-150 range. The large sized backpacks were $230 and up. The cooking gear came in sets for either a soloist or dualists (two person). There were some that where silicone style that were lighter weight and collapsible, but these were the most expensive. The cooking stove could be purchased separately for about $30-40, but a fuel canister would be an additional $5. Cooking systems that came with the stove and cookware were $135 and up. I will need to do a little more researching on this topic before I am ready to buy. I do want to purchase these items relatively soon so I can tryout packing the backpack and doing some training walks with on. I am hoping to borrow a few items from my experienced friend to reduce my expenditure for this expedition. However, I think I’m going to like it and will want to go again, so purchasing items may not be such a bad idea! I’ve decided the best way to learn how to be a survivalists is to actually put what I’ve learned into practice. I am going to challenge myself by solo backing the Appalachian Trail for 3 days/2 nights. My planned route will take me through the mountains and will cover 9-15 miles depending on how far I can go each day. This will be physically and mentally challenging as I’ve never hiked with a 40lb pack on back. As a female, this seems a little dangerous as I’ve been taught as a girl growing up with brothers, that a male could easily overpower me and take advantage of the situation. Also, the fact that the AT wanders through black bear territory poses another risk to my safety. And the thought of sleeping alone, in the pitch black, with no company can be scary in itself. Despite all this…I am still going to do it. I made a commitment and bought plane tickets. If any woman is a good candidate for solo backpacking I think I fit the description. I have a desire to complete this challenge and the mind set to do it. I am a fit person. I workout 3 days a week with weights as well sprint triathlon training. As a LEO I am trained in defensive tactics and plan to bring multiple weapons. I also expect that my planned route will be somewhat busy being the AT and its summertime. So I won’t be truly be alone. To prepare for this endeavor I first sought out the advice of experienced backpacker. I told him the route I planned and that I was thinking about doing it. After talking with him and spending the afternoon thinking about it, I made the commitment. He told me the route I planned was very good. He had done that section of the AT 4+ times. He said it was a busy portion of the trail especially being summertime I will see someone every hour. He did not have any qualms about me doing this alone. In fact he said it will be a great experience and that I should do it. I choose the Terra 40 for its medium size, its various compartments, and its design for a lady's shape. The medium size is big enough to fit all my gear, but not too big for just a 2-5 day trip. There is also separate compartments for my sleeping bag, pockets on the waist belt for snacks, and pocket for my hydration bladder. The design and fit is for a woman and comes in blue or purple. For the man in my life I purchased The North Face Terra 50 in black. When picking out a shoe for my backpacking trip, I wanted to choose something that would be sturdy enough for trekking at least 10 miles a day and could remain pretty dry in event there is a down pour. After some research, I narrowed it down between the Salomon Ellipse GTX and the Merrell Moab Ventilator. Both shoes are reasonably light weight, water resistant and similar in cost. I ultimately purchased the Salomon for its tread and arch support.